This entry was posted on January 18, 2013 by joeleagle. 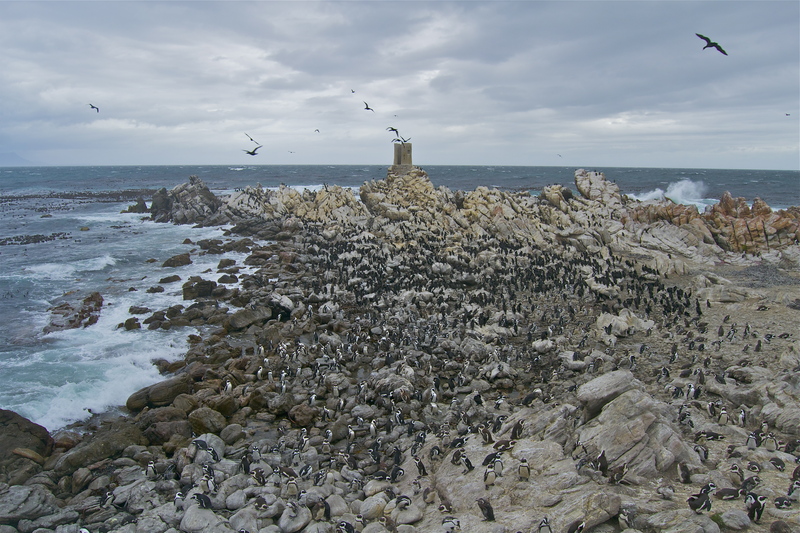 It was filed under Animals, Water and was tagged with African Penguins, Betty's Bay, Betty's Bay Penguin colony, Black-footed Penguin, Indian Ocean, Penguin colony, South Africa. Holy mackerel! That’s a lot of penguins! More tuxedos than opening night at Grauman’s Chinese Theater! You had to have gotten pooped on at least once! Nope, no penguin poop, they were all very well behaved!